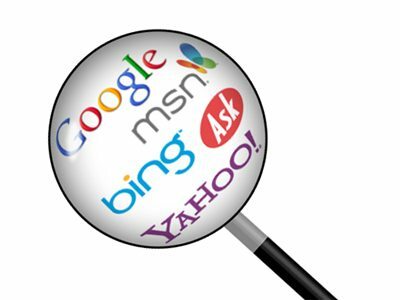 Working on the web with small businesses you that business owners have a lot of misconceptions about how search engines work. I’ve been lucky to have great clients who trust me enough to run things by me when presented with a new piece of software or offer. I’ve even been called myself and told that by the company that “they actually provide all data for google search results” and they can just put me on top. I’m pretty sure some cold calling outbound telemarketing group is not providing google with any relevant search data, they obviously didn’t have me targeted too well. Google has teams of people to sniff out the pirates who are doing tricky SEO or “Black Hat SEO”. Google even recruits the best pirates on the web and brings them onto the team or uses them in a consulting capacity to help maintain the quality of their product, internet search. Everyone knows Google and other search engines use “robots” to “crawl” sites, archive and index the information they contain, judge visitor usage statistics and many, many, many other things. That’s only the part we have access to inside our Google Analytics administrative interface. We can’t even begin to imagine how complex their level of data analysis is and algorithms are . You just can’t cheat them. They have teams of people dedicated to finding cheaters and screwing them over. 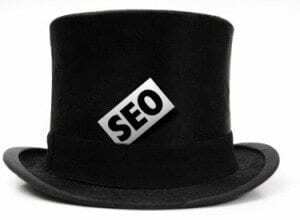 Any short term gains someone makes from shady Black Hat SEO are just short term gains. You have to perform one simple thought experiment. What if a lucrative site, ripe with spammy purchased backlinks and Black Hat SEO gets flagged. What if the site get’s called out by Googles complex algorithms. Revenue losses could be catastrophic no matter what kind of business you run. The internet IS where people find you. Let’s just hope it doesn’t provide you with bread and butter. If it’s just a blog or some other site that you don’t depend on for revenues then you’re lucky but that’s likely not the case. Once a site gets relatively large you start to build up your investment. Usually that means integration with 3rd Party services like Mailchimp, Constant Contact, or paid video sharing services like Vimeo or even Wistia for companies that are really serious about controlling their content or even just monthly credit card processing fees. These 3rd party integrations end up costing a little cash. Most good or commercial 3rd party services aren’t free forever though they may start out that way. Even google is launching Premium Analytics. I find as the website grows it will inevitably gains overheads. That should happen to help support it’s further growth. But if revenues dry up, those overheads can become a huge financial burden. If every time someone typed something into a search engine like Google or Bing and it showed something were looking, kind of, but something that was predictably sponsored. People wouldn’t use that much. Google is famously good at providing people with just about exactly what they were looking for. People type in some unbelievably vague things too, it’s actually pretty amazing. Publish meaningful content. You can hire someone to do this for you. You can say you’re going to do that yourself but most business owners will not do this themselves. The only real solution to gaining stable long term links, gaining site traffic and new visitors is to publish real, consumable content. While proper SEO will give you a leg-up against stiff competition, it won’t take a website with little or no quality content and make it more liked by site visitors. Another article that says something similar: SEO Shortcuts to a Top Ranking. It may sound like a lot of work but it isn’t. If you’re using a content management system, and you should be, you can easily create quick posts, schedule them throughout the week and have those automatically posted to your social media channels. That’s the truth. I like recommend that business owners delegate a person other than themselves to work with their website and webmaster to help lighten the load because effective online marketing is a full time job, break that burden up. Business owners are enthusiastic at first but quickly go about managing their business, like they need to do. You can generate long term growth and revenue and establish yourself as a leader in your industry with effective and relevant online publishing. When clients absolutely can not think of a damn thing to type I like to recommend they allow their Brand Page to “Like” and “Follow” other brand related news pages. This way clients can at least easily re-share things that are related to their brand and products. Just be careful you’re not re-tweeting your direct competition’s awesome original content.